Ben combines expertise in soil science and ecosystem ecology to study nutrient cycling in tropical forests. 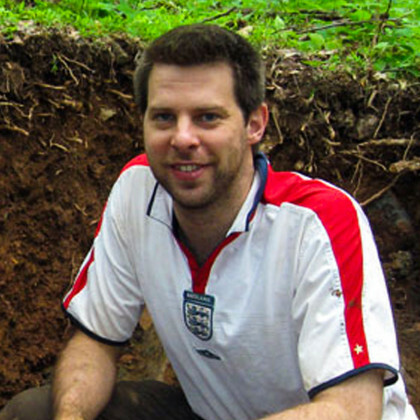 His research uses natural and experimental gradients to understand how soils shape the diversity and distribution of plant species in both lowland and montane forests. Ben also leads the ForestGEO Soils Program, which involves detailed studies of large forest dynamics plots in Asia, Africa, and the Americas. Ben Turner is located at the Smithsonian Tropical Research Institute (STRI) and you can find his bio here.